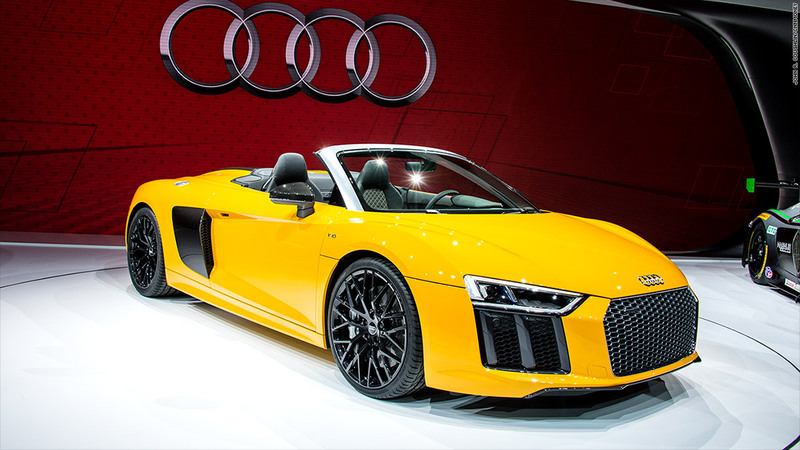 Debuting in striking yellow, the new Audi R8 Spyder has a 540-horsepower V10 engine capable of launching this car to 60 mph in just 3.6 seconds. It has Audi's new virtual cockpit. The entire gauge cluster area is a big computer screen that can also show, say, navigation maps right in front of the driver. You can also opt for Audi's signature laser lighting system which provides extra bright lighting at night.